An artistic project that began in 2010 is starting to gain real momentum and is starting to appear in cities around the world. The ‘USB Dead Drop’ project is the brainchild of ‘Architect Artist’ Aram Bartholl. USB Dead Drop involves Mr Bartholl and several of his global fans placing ‘hidden’ USB flash drives in and around city centres. 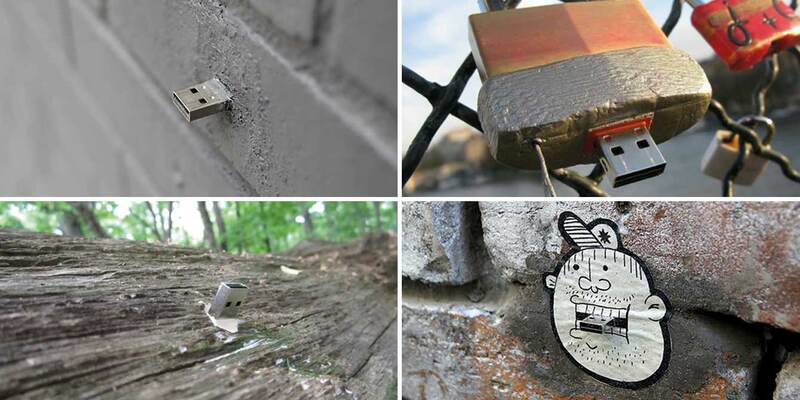 The USB drives are often imbedded into walls and other permanent street fixtures. From there, members of the public are expected to attach their laptop to the device and either explore what’s already on the USB or upload their own interesting files. The website also has details of the current Dead Drop locations if you fancy taking a look and ‘plugging in’ for yourself. There’s also a Wikipedia page with details of the project. While it’s great to see USBs involved in such a community-engaging event remember that you don’t know what the drives contain so make sure you have a good antivirus program running before plugging in - if you are brave enough to participate, please back up your laptop! If you’d like a quote on some custom branded USB Flash Drives for your own project please fill out our Quick Quote form and one of our Account Managers will be in touch.